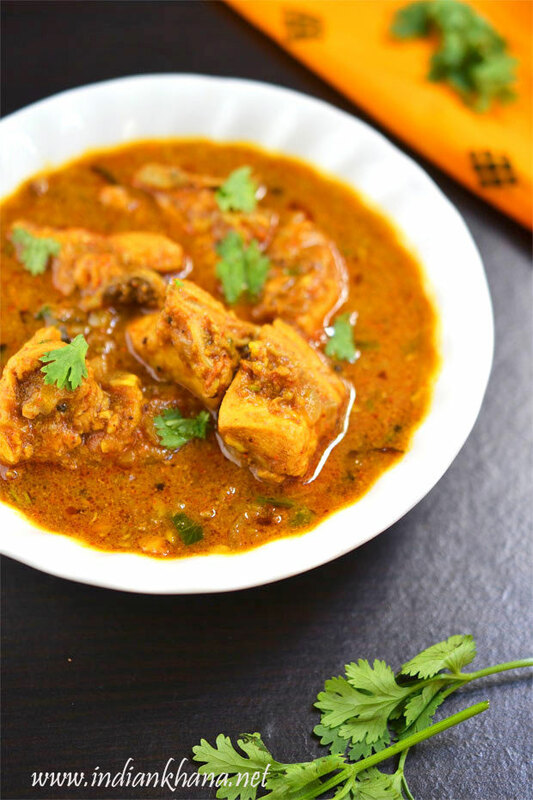 I wanted to post few Andhra style non-veg recipes though I have already posted quite a few recipes like the popular Andhra Chicken Pickle, there's also Gongura Royyalu (gongura prawns), chicken curry in onion gravy, prawn masala, squid masala so far and this Kodi Kura is very simple curry with subtle flavors it's one of my favorite chicken curry as it's very easy to prepare and taste just delicious. 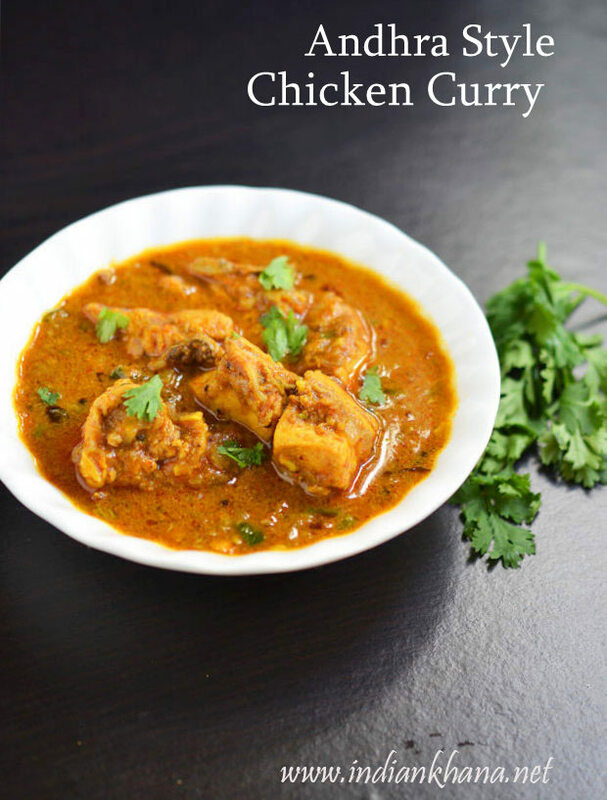 Hope you guys are enjoying the Sunday Non-Vegetarian series that I am posting and this is 4th recipe in the series, try this for lunch or dinner and enjoy your meal. Do share your feedback if you try this kodi kura. 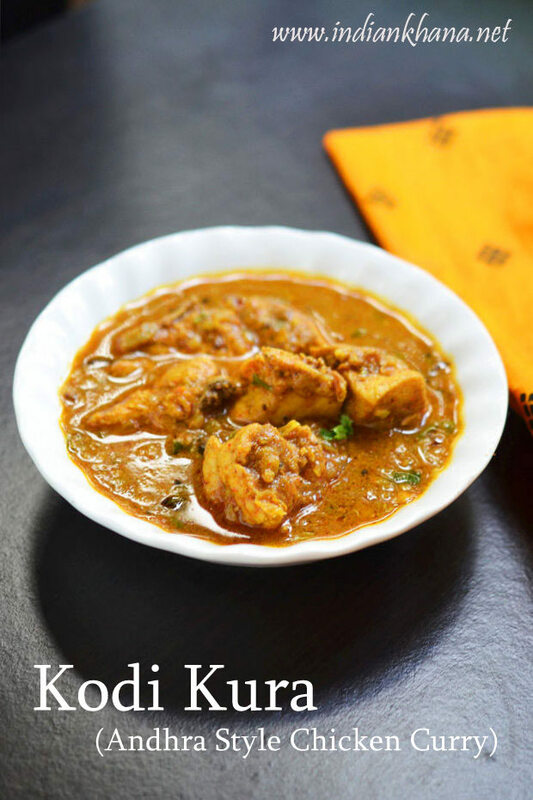 Delicious Chicken curry in Andhra style with fresh spice powder. Marinate washed chicken pieces (used here all boneless pieces) with all the ingredients listed under 'For Marination' and marinate for 30 mins or until required. Peel and chop onion, slit green chili, puree tomato, chop coriander leaves. Heat a pan and roast all the ingredients listed under For Roast & Grind until light brown and aromatic, don't roast too much. Allow to cool and grind into fine powder. 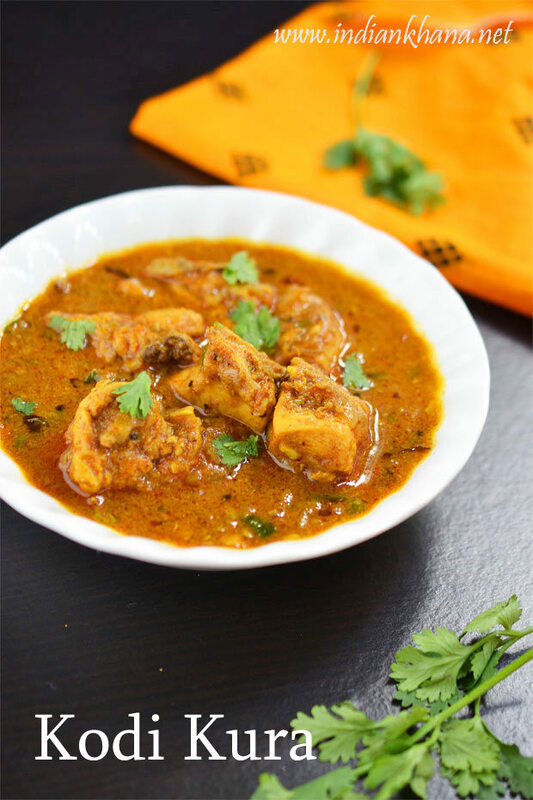 Heat oil in a pan or kadai add hing, onion, green chili, curry leavesginger-garlic paste mix well and cook until onion becomes soft and light brown with regular stirring. Add marinated chicken pieces, prepared spice masala, add red chili powder, coriander powder, and mix well, cook for 4-5 mins in medium flame. Now add tomato puree. Mix well and cook until oil starts to separate, now add 1 or 1.5 cups water and cook until gravy becomes thick and chicken is cooked well. Add salt, pepper powder and cook for 2 mins in medium, add coriander leaves and off flame. Serve hot or warm with pulao, paratha, or roti. Keep the gravy consistency the way like. Reduce red chili powder if you think it will be too spicy for you. 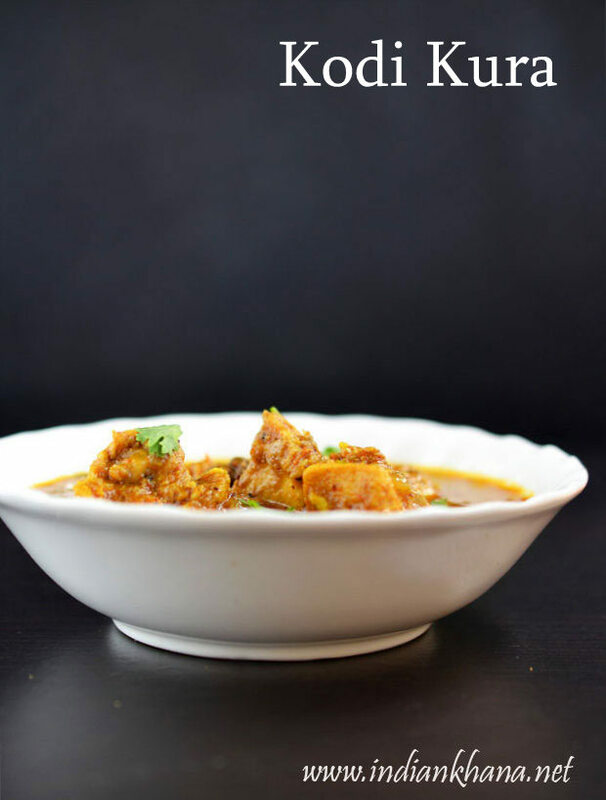 Delicious and flavorful Kodi Kura.